OAKLAND, Calif. – An international Day of Action with the theme, “One Job Should Be Enough,” brought thousands of union and non-union Marriott workers into the streets across the U.S. and Canada June 27, calling on the giant hotel chain to use its leadership in the worldwide hotel industry to create jobs paying enough for workers to live on. Actions organized by the hospitality union Unite Here ranged from nonviolent civil disobedience to marches near Marriott hotels, and mass picketing of hotels during high traffic hours. 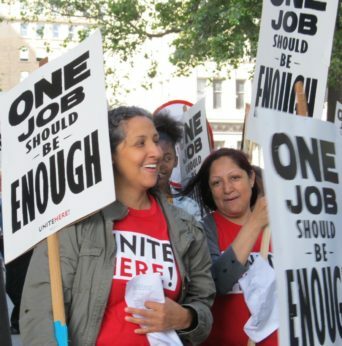 Some 20,000 Marriott workers, including bellhops, housekeepers and front desk clerks, are among Unite Here’s 270,000 members working in a variety of hospitality-related, industrial and transportation industries in the two countries. Contracts are expiring this year – many by the end of the summer – for 12,000 of them. 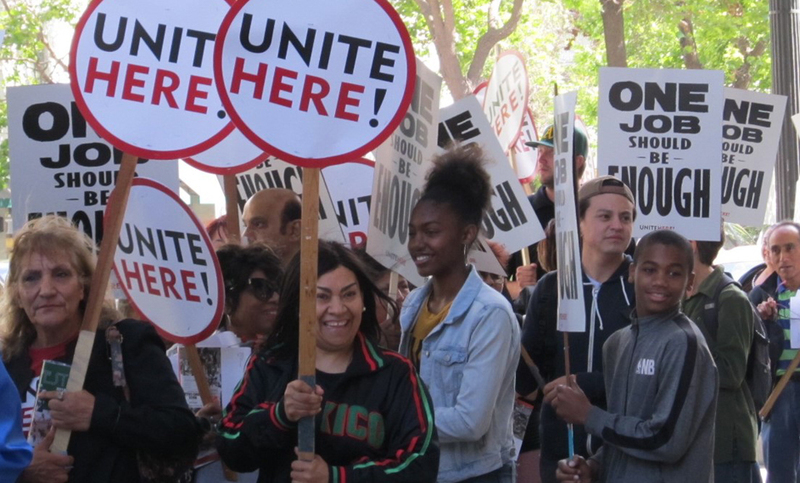 Here in Oakland, hundreds of Marriott workers and their supporters gathered outside the Oakland Marriott City Center hotel, on the city’s main downtown thoroughfare, as end-of-the-workday traffic was picking up. Among other protests, actions were held in Honolulu, Boston, Seattle and Philadelphia, and in other California cities including San Diego, Los Angeles, San Francisco and San Jose. After more than an hour of enthusiastic picketing and vigorous chanting, the protesters gathered to hear fellow workers tell their stories. Another issue highlighted especially by housekeepers is the need for panic buttons in case workers are threatened or physically abused. Huber outlined the union’s goals, including preserving health care, protecting jobs from automation and subcontracting, stopping anti-union hiring practices and ending e-verification of workers. 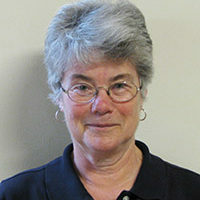 At the same time, she said, the Marriott must hire many more local workers and pay them enough so they can live in the cities where they work. That sentiment was shared on the campaign’s web site, onejob.org, by Marriott worker Courtney Leonard, who said she must commute over 100 miles daily from her home to work in Boston, because she can’t afford to live any closer to her job as a cocktail server. “I’m taking action because every day I welcome Marriott guests to a city I can no longer afford even though I work for the richest hotel company in the world,” she said.